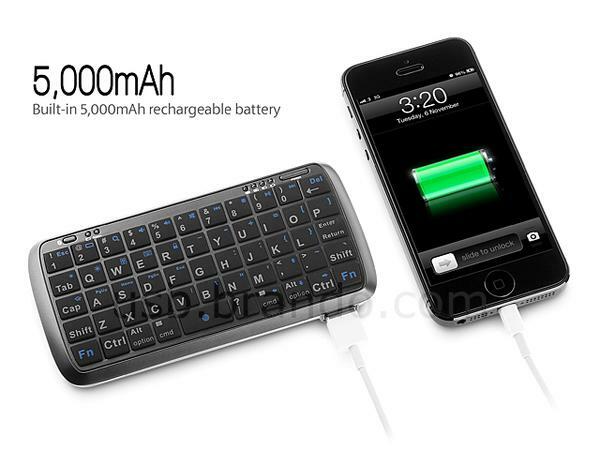 Want to charge your smartphone on the go or need a more tactile typing experience than the virtual keyboard? 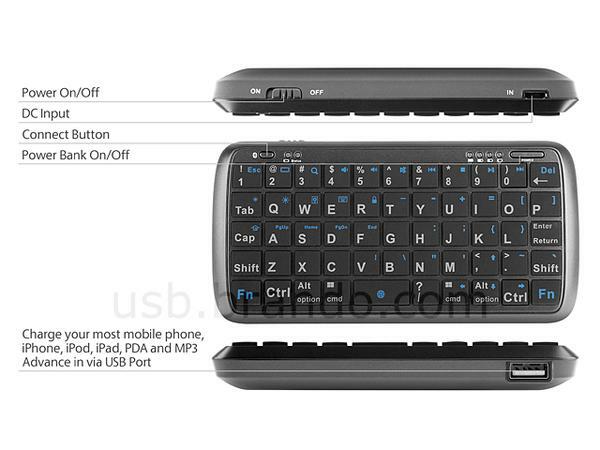 Take a look at the backup battery with mini Bluetooth keyboard, it may be able to meet your requirements. This is a multi functional power bank that measures approx 130 x 65 x 17mm and weights 135g. As we can see from the images, the power bank features ultra compact design, and comes with a built-in 5000mAh rechargeable battery in order that you can conveniently charge your mobile devices on the go. Moreover, the backup battery also features an integrated Bluetooth wireless keyboard that has a 54-key QWERTY layout with FN lock change function in order to offer you a more comfortable typing experience than the virtual keyboard on the touch screen of your smartphone. 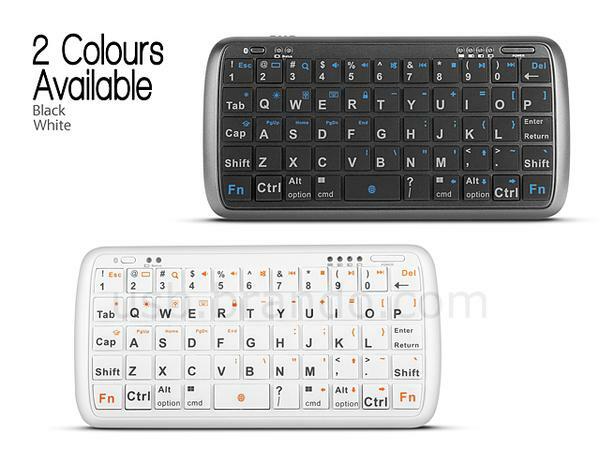 The backup battery with mini keyboard is available in white and black, each one is priced at $40 USD. If you’re interested, jump to Brando online store for more details.